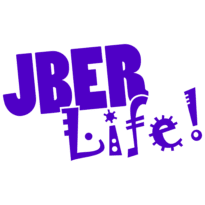 T-Bar Grill | JBER Life! Barbecue pulled pork, coleslaw and pickles on a potato bun. American, aged cheddar, monterey jack, and swiss cheese. Flatbread, provolone cheese, spinach, tomato, and pesto mayo. Crisp lettuce, smoked ham, roast turkey, swiss cheese, aged cheddar cheese, tomato, cucumber, and chopped egg. Signature sauce, American cheese, crisp lettuce, and vine-ripened tomato. Aged cheddar cheese, bacon, and Sweet Baby Ray’s BBQ sauce. Sat. & Sun. : 12 – 8 p.m.